They say what you put on your skin is only half the story, and ingestible beauty products are huge right now. Part of that is due to the endless flogging of them on Instagram by Women In Stretchy Pants, and part is due to the fact that for some people, they really do work. When it comes to healthy skin, what you put inside the body really can be as important as what you apply topically. 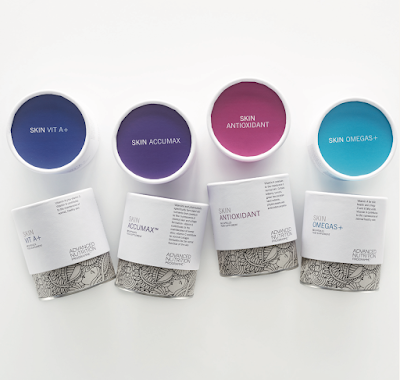 “Great skincare starts from within” is one of the main catchphrases used by UK-based Advanced Nutrition Programme, who are the creators of an amazing professional-only nutritional supplements range that is now available in New Zealand. I was lucky enough to meet Lorraine Perretta, a nutritional consultant at the International Institute for Anti-Ageing (iiaa) and brand manager for the Advanced Nutrition Programme range of supplements, a few weeks ago, and damn – she was inspiring. Over breakfast at Greenleaf Organics she shared a few of her insights with myself and several other beauty editors, as well as giving us all more than a few good reasons why a quality - emphasis on the word quality here – can make a wealth of difference when it comes to the kind of result you want from your skin. The Advanced Nutrition Programme is a cutting edge nutritional system that has been designed to support a topical skincare regimen recommended by professionals. The premium range of nutraceuticals is designed to provide optimum daily amounts of vitamins, minerals and other vital elements to support a healthy lifestyle and to help maintain a glowing complexion. Problems like dryness, excess oil, congested skin and the signs of premature ageing may benefit from targeted supplements from their Skin range, and client feedback proves it gets results. Research from the British Journal of Nutrition in 2006 concluded that taking oral supplements has many benefits over topical application. It supports the importance of supplements that feed skin over the entire body, in an easily absorbable form and which can nourish even the deeper layers of the skin. In an industry that focuses so much attention on treating skin topically, it’s easy to forget that cells are made deep within the skin where creams never reach. Beginning a skincare regime by feeding the body with the necessary nutrients to make perfectly formed cells is the foundation to a flawless complexion. The key skin vitamins fall into two categories – the nutrients that make the skin and those that protect it. The crucial skin cell makers are vitamins A and C, plus essential fatty acids, but the question is, do we get enough of these from our diet? When we eat, the body makes sure that vital organs like the brain, heart and liver get nutrients first. So, even if you’re eating a good diet you may not be eating enough to nourish all the essential organs as well as your skin. If there aren’t enough essential fatty acids to make a perfect membrane for your skin cell then the water inside the cell can leak out, leaving skin dry and flaky. Moisturising creams provide a band-aid approach to the problem but they can’t repair the cell membrane within. Great supplements like ANP can provide key vitamins, essential fats and plant nutrients, ensuring the body can make ‘perfect’ skin cells. Plus, topical treatments and skincare products work better on well-nourished skin, so beauty supplements can actually help to turbo-charge your skin. I’m midway through a trial of the brand’s Skincare Box Ultimate, which Lorraine called the “gold standard” pack that offers a powerful combination of supplements designed to support healthy skin, strong hair and nails and brighter complexion. 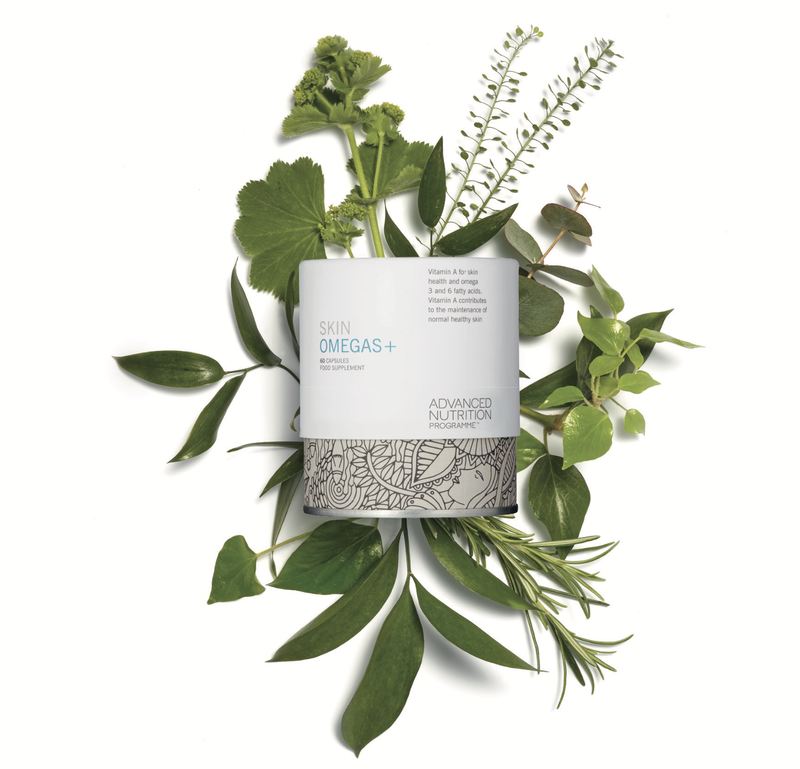 It includes Vitamins A and D, Omegas 3 and 6, seven different antioxidants, Astaxanthin plus biotin and CoQ10 plus pine bark extract. In a word: magic. It’s a great pack for those whose skin needs a kick start back on the road to glowing, and comes highly recommended for brides or those with a big event on the horizon. After that, I’m hoping to try a combo of their Skin Accumax and Skin Omegas+ to try and put paid to the rosacea that I suffered so badly over the summer months. To find out where to find an ANP stockist near you, head to the Beauty Care website to find out more – they come super highly recommended.